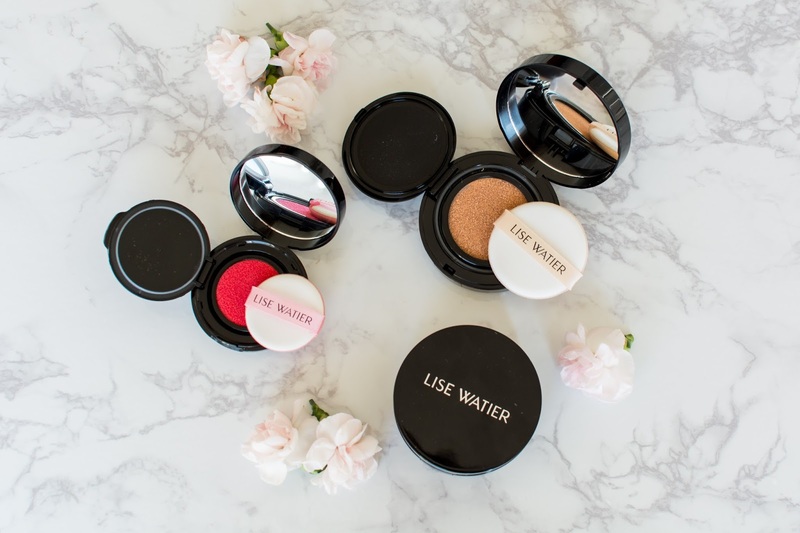 GIVEAWAY: Lise Watier Cushion Compacts | La Petite Noob | A Toronto-Based Fashion and Lifestyle Blog. Not to brag, but I am the Queen of day-to-night makeup. Having an office job and blogging events and commitments at night means that I am no stranger to touching up my makeup and getting evening appropriate in some poorly-lit bathroom somewhere. Typically I need to bring my entire makeup bag with me for touch ups, which is not ideal considering I like wearing smaller bags at night. I was so happy when I was turned onto Lise Watier's line of cushion products. I have heard so many raves and reviews about their cushion foundation, so I was anxious to give it a try for myself; and I was so impressed with the results. Their Lumière Cushion Compact Liquid Foundation is an essential for someone who is constantly doing their makeup on-the-go; the coverage is totally build-able, and it doesn't cake when I touch up my problem areas between events. The finish is very natural and dewy, even after building it up to a full coverage. I like to keep the dewiness of the foundation for the day, and use it for touchups with a little powder over top for a more dramatic nighttime look. Plus the fact that the compact fits so easily in all of my small bags and I never have to worry about any mess is a huge plus! Another perk is that the compacts are easily re-fillable, producing less waste. 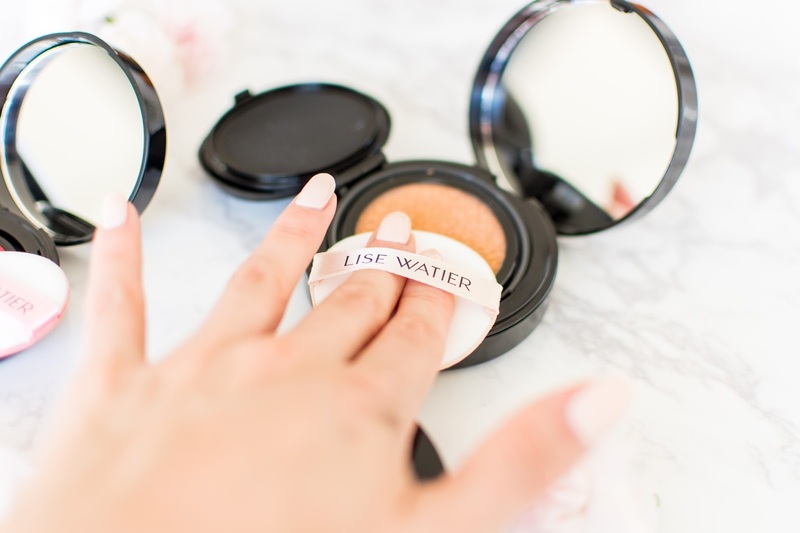 Another product that I'm loving from the line is the Lise Watier Beauty Cushion Liquid Blush-To-Go. I don't know about you, but one of the first things to fade during the day is my blush and I always need to touch up after work. This cushion blush is perfect, since it's in the same mess-free compact as the foundation, is totally portable and produces the most gorgeous dewy flush on your cheeks! TIP: A little of this product goes a long way. I like to dab just the tiniest amount of product on my cheeks and use the sponge to blend, blend, blend! The result is a radiant, natural flush. 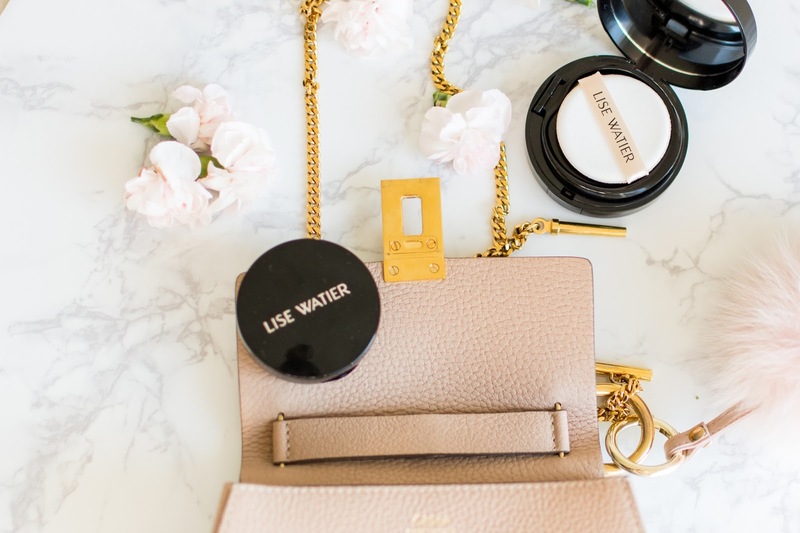 See how easily the Lise Watier Cushion Blush and Foundation fit in a small bag? I'm definitely a cushion-convert, and I love how they have fit so well into my on-the-go lifestyle. I'm thrilled to be able to giveaway a Lise Watier Cushion Prize Pack, which includes all three shades of the foundation and the blush! Contest is open to Canadian residents only. Let me know what your makeup routine is like! Are you on-the-go, always touching up or are you a one-time-application person. Let me know! I usually like to do a simply makeup look, I do a one-time application on a day to day basis, and just set it in place. I rarely wear make-up because I never find the time to re-apply, but I am trying to get better at it :) Love your blog! I am fairly simple during the week - but do a full foundation, brow, blush, contour and lip 💋 Itouch up after work with powder, liner, gloss & mascara and yes ~ usually in a random bathroom ~ lol! I only do concealer and mascara (starting to incorporate brows now too!) This girl can't do a winged eyeliner to save her life!